On June 30, 1990 in Hertfordshire, England, on the stomping grounds of some of rock’s most historic, landmark events—the site of Led Zeppelin’s last stand on British soil, in ’79; where Freddie Mercury fronted Queen for the final time, in ’86—approximately 120,000 people descended upon Knebworth Park for a massive all-star concert benefiting the Nordof-Robbins Music Charity Centre and the Brit School for Performing Arts. 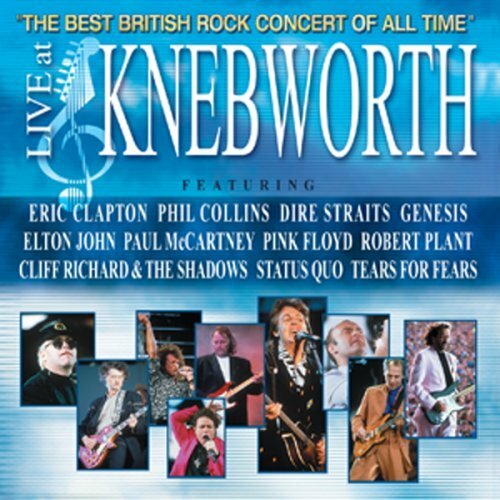 Long out of print in audio form (a DVD version was released in 2002), Live at Knebworth has at last been reissued, sounding just as dynamic as it did 20 years ago. Boasting a motherload of British music royalty, the double-disc set highlights extended performances by the likes of Paul McCartney, Elton John, Eric Clapton, Genesis, and Pink Floyd. Given the random song selection, one could split hairs over which tracks made the cut—do you really need another live version of “Comfortably Numb”?—but on the whole it makes for a most enjoyable live album. The “do-you-really-need-another” scrutiny could just as easily apply to the inclusion of other tracks like “Sunshine of Your Love” (Clapton), “Saturday Night’s Alright (For Fighting)” (Elton) or “Hey Jude” (McCartney). 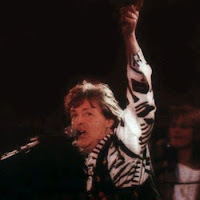 In the case of McCartney, though, it’s worth noting that he’d only begun playing a generous amount of Beatles songs in concert during the world tour he was on at this time, his first such road trip in 13 years. And on the heels of a momentous homecoming concert in Liverpool just two days before—where he poignantly paid tribute to John Lennon with a medley of “Strawberry Fields Forever," “Help,” and “Give Peace A Chance”—McCartney hit Knebworth in particularly high spirits, as his other featured track, a rambunctious take on “Coming Up,” revealed even further. A more contemporary band didn’t stand much of a chance among all the legendary rockers on the bill, yet with “Badman’s Song,” Tears For Fears delivered one of the best (if not the best) performance of the entire show. In a fiery exchange, lead singer Roland Orzabal and the band’s best-kept secret, Oleta Adams — remember her anguished vocal on “Woman In Chains”? — summoned a menacing, 11-minute tour de force. And so while one’s preferences will determine which selections they enjoy better than others, there really isn’t a bad track in the bunch. As an overview of Knebworth ‘90, it’s solid.